Author Nnedi Okorafor is having a moment right now. In addition to working on a live-action adaptation of her novel Who Fears Death for HBO, contributing to Marvel’s ongoing Venomverse event, and publishing her twelfth book, Okorafor is also penning a new, series set in Wakanda, Black Panther: Long Live The King. 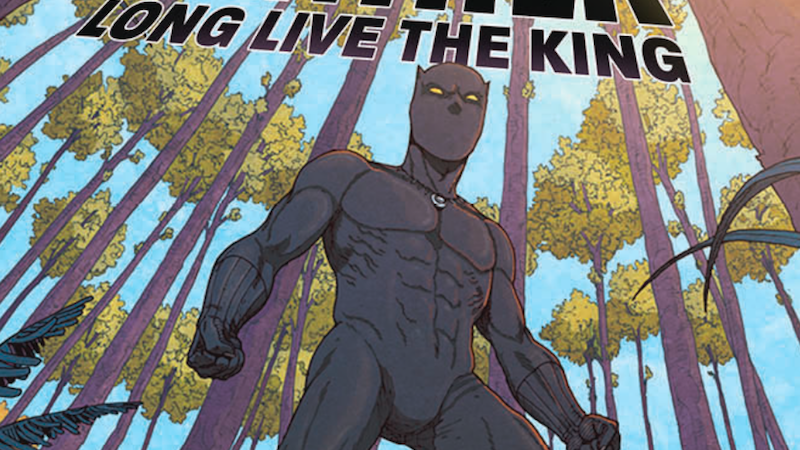 Beginning in December, digital issues of Black Panther: Long Live The King will be available for purchase on comiXology and also included in all subscriptions to comiXology Unlimited. Speaking to Nerdist, comiXology’s senior director of communications would only say that Okorafor’s new series would continue building out the expansive Wakandan setting that other creators like Ta-Nehisi Coates and Roxane Gay have helped shape in their recent Black Panther projects. Scant as the details on Long Live The King may be, Okorafor’s “Blessing In Disguise,” a one-shot comic about an alternate universe Nigerian girl who bonds with a Venom symbiote and becomes her dimension’s Black Panther was an imaginative riff on Panther-centric stories we’ve seen in the past. We’ll get a chance to see how Okorafor handles the Wakandan king when Black Panther: Long Live The King is available December 13.